The Crimean War (1853–1856) was fought between Imperial Russia on one side and an alliance of France, the United Kingdom, the Kingdom of Sardinia, and the Ottoman Empire on the other. Most of the conflict took place on the Crimean Peninsula, with additional actions occurring in western Turkey, and the Baltic Sea region. 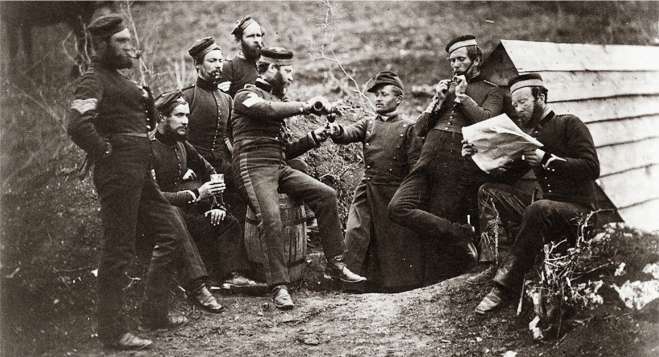 The Crimean War is sometimes considered to be the first "modern" conflict and "introduced technical changes which affected the future course of warfare. In the years between 1854 and 1856 Britain fought its only European war between the ending of the Napoleonic conflict in 1815 and the opening of the Great War in 1914. Although eventually victorious this was a hard war fought with little skill and filled with great loss. Indeed the Crimean War became infamously known for military and logistical incompetence perhaps most aptly epitomised by the near annihilation of the British Light Brigade. 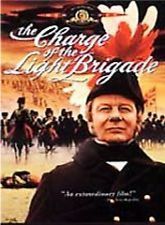 Arguably the only bright light in this sorry tale was the work of Florence Nightingale a nurse who almost single-handedly drastically cut mortality rates for the British wounded. The Crimean War had begun as a quarrel between Russian Orthodox monks and French Catholics over who had precedence at the holy sites in Jerusalem and Nazareth but soon turned into a full scale Clash of the Empires. Hear a recording of a soldier of the Crimean War ! Trumpeter Landfrey's Charge of the Light Brigade, recorded 1890. Landfrey was a bugler in the Light Brigade at the Battle of Balaklava, October 25, 1854, of the Crimean War. On this recording Landfrey plays a trumpet that was used at the Battle of Waterloo, June 18, 1815 . Sevastopol Sketches Audiobook (Russian: Севастопольские рассказы, Sevastopolskiye rasskazy) are three short stories written by Leo Tolstoy and published in 1855 to record his experiences during the Siege of Sevastopol (1854–1855) in the Crimean War . Documentary about Florence Nightingale. It tackles her legacy with both positive and negative interpretations. From "the great storyteller of modern Russian historians" ( Financial Times ) comes the definitive account of the forgotten war that shaped the modern age. Tony Richardson's revisionist version of the oft-filmed romance of empire stars Trevor Howard as the arrogant Lord Cardigan.